With the Oculus Rift out, the Facebook owned company is looking into other ways to promote virtual reality - and it's setting its sights on social good. Announced today, VR for Good is the latest initiative aimed at the "next generation of VR creators" or in other words, students, non-professional filmmakers and nonprofits. Oculus is starting with the 360 Filmmakers Challenge. 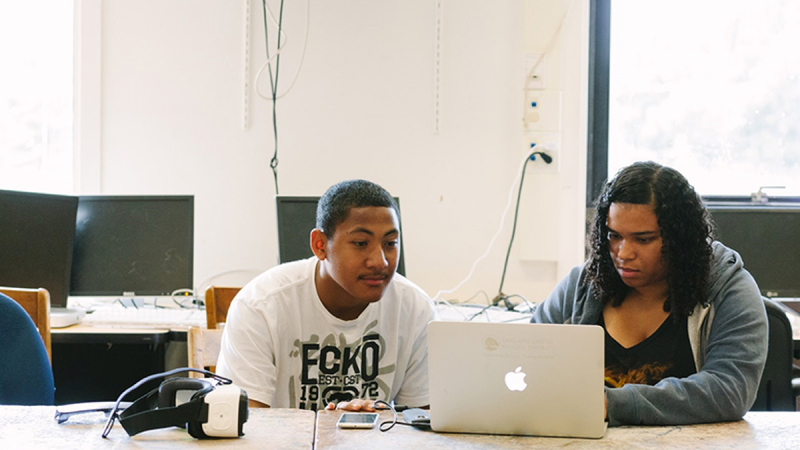 VR film mentors will be partnering with nine San Francisco Bay Area high schools to create 3-5 minute 360 films about their communities. The students won't be left in the dust without the proper equipment either. Oculus is providing a Samsung Gear VR, Galaxy S6, Ricoh Theta S 360 cameras and access to editing software. The site doesn't specify whether students will get to keep the hardware. The program will be six weeks long and will end with a showcase highlighting the top films. Plus all the student videos can be watched on Facebook and Oculus Video. The second part of the initiative is for the nonprofits. Starting this summer, the program, called 360 Bootcamp for Nonprofits, will team up 10 budding filmmakers with 10 nonprofits to start a two-day filmmaking bootcamp at the Facebook campus. Just like the student portion, the nonprofits will also be supplied - though with more high-end tech. $60,000 Nokia OZO cameras, travel budget, post production support and mentorship with film veterans are part of the package, with the first videos debuting at Sundance 2017. It's unclear if Oculus will keep the student initiative going after six weeks or if other nonprofits will be able to participate after the first round, but hopefully all goes well and more people get to experience VR filmmaking with Oculus' help. This isn't the first time that companies are branching out to show how VR is more than a gaming gateway. Google has its educational Expeditions program that uses Google Cardboard in school settings and other smaller companies are taking to Kickstarter to fund their own ventures.